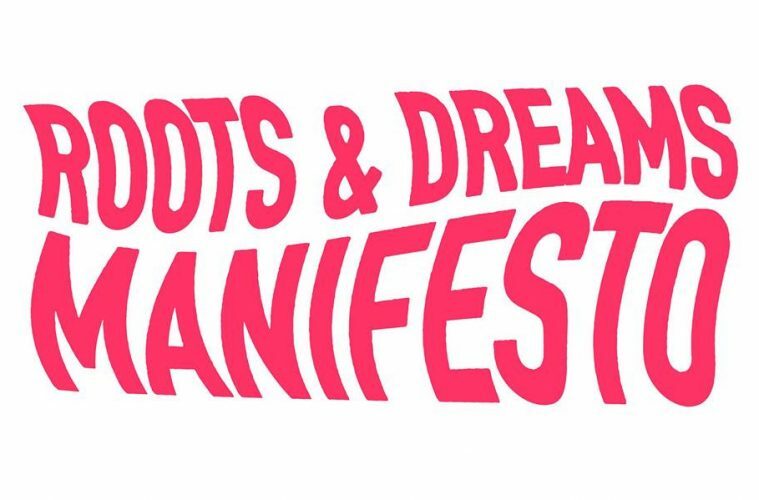 Become a co-writer of the #rootsanddreams manifesto! THE ROOTS AND DREAMS MANIFESTO is a call to re-imagine the concept of TOGETHERNESS in light of the abundance of individual identities. We want to engage in an OPEN, organic and COLLECTIVE WRITING process with each and every respondent. To create a STORY that truly BELONGS TO US ALL, we need to write not within a restricted group, but with ANYONE who shares our VALUES and cherishes HUMAN DIGNITY and DIVERSITY. No matter how DIFFERENT our ROOTS, it is from them that we grow our DREAM of togetherness. Let’s our stories come together, our roots intertwine, and from this entanglement make a whole new garden full of wonder and POSSIBILITIES. The choices we make today will shape the WORLD of tomorrow – the time has come to develop our thoughts and actions in a way that is truly collective. We INVITE you to take part, PLANT YOUR SEED by adding YOUR VOICE to the Roots and Dreams Manifesto. Your contribution can be a short piece of writing, a recording, a drawing, a photograph or whatever format you choose. Written contributions should be no longer than 50 words at max, recordings no longer than 1 minute. Submit your text by sending an email to rootsanddreams (at) globeartpoint.fi or by filling out this form. All contributions will be published on our website on 20th August 2018 as well as through our social media channels. The co-written #rootsanddreams manifesto will be also presented on 20th August 2018, 16-23h, as part of the 1968 @ BIOREX event at the AMOS REX MUSEUM at the Helsinki Festival. *We will not tolerate hate speech. Previous ArticleOPEN ACTIVIST MIC – Come and Provoke!